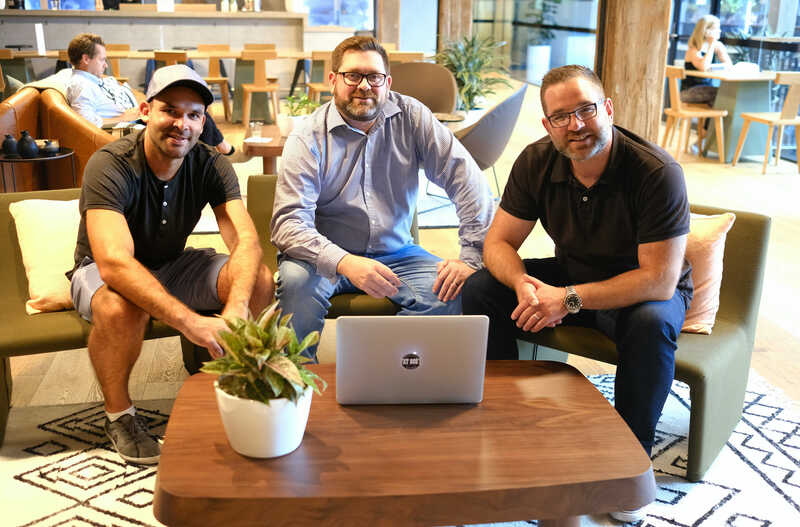 Just when you thought there couldn’t be room for a new accounting software company, another appears. This time it’s going niche, and it is chasing the boom in self-employed or sole traders. The first wave of these apps include famous brands such as FreshBooks in Canada and FreeAgent in the UK. 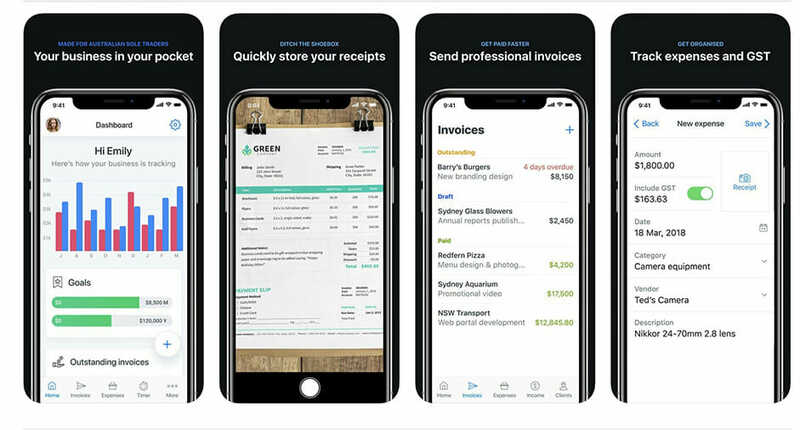 Intuit is pushing the mobile-based QuickBooks Self-Employed in the US, the UK and Australia, among other countries. In an astonishing announcement, Saasu revealed earlier this year that it was winding back its SME efforts to focus on micro-businesses. And now there is the Rounded app. Rounded has clocked up 1,500 active users in two and a half years and recently added an accountant portal for managing multiple accounts. It is one of the newest apps exhibiting at the Accountech.Live expo in Melbourne on November 13-14. DigitalFirst.com caught up with Oliver Garside, co-founder and COO, to find out a little more about Australia’s latest accounting app. DigitalFirst: Australia surely has more accounting software per capita than anywhere else. Why would you want to launch here? Oliver Garside: The founder was a career freelancer, he worked as a graphic designer and filmmaker. He found that the options for managing a freelance business were not hitting the mark. He found it too complex, too expensive, and it didn’t deal with GST and BAS particularly well. So he solved his own problem and the feedback he got was that there was a broader application. We are focused on Australia but it’s not going to be forever. We want to offer it in other markets as well. What makes this special is the focus on the use case. A lot of the more established solutions are really built for small business and offer a level of complexity and cost that freelancers and sole trader and self-employed don’t really need. One of the consistent bits of feedback is the design and simplicity and ease of use. It’s set up on a freelance use case and not a small business use case. DigitalFirst.com: What are the differences between those use cases? Garside: We don’t offer payroll. We can’t support anyone that has employees. That would be the main thing. We also don’t have a general ledger or balance sheet. We have done a huge amount of work to use what you’d call friendlier terminology. Instead of a chart of accounts we have expenses. It’s just about making this as effective and un-intimidating as we can but still facilitating our customers in knowing exactly where they are at in their business at all times. It is also producing professional invoices, which is huge, and using automation to give them time back in the day. And when it comes to tax time it’s about connecting with the bookkeeper to remove the strife from going through the tax period. Our customers are organised much more effectively when it comes to tax requirements. Why did you personally join Rounded in 2016, when Xero was already growing so quickly? Great question, especially when I had no interest in accounting. The first thing was how easy it was for me with no accounting experience to get how Rounded works. The beautiful design instantly appealed to me. The other thing was that I felt the shift in the way that the world works. All the usual phrases like “future of work” and “gig economy”. That all boils down to the internet supporting people to work in a different way. That freedom incents people to try different ways of working. Freshbooks isn’t built to deal with BAS or GST effectively. We felt we had identified a growing niche that didn’t need the cost or complexity of Xero or QuickBooks Online (QBO) but wanted effective, fit for purpose software. And I still think that is the philosophy that will make our business successful and has made it so successful today. DigitalFirst: Have you taken on venture capital? Oliver Garside: No, we haven’t had venture capital. We received a little bit of funding from an investor at beginning of the year but predominantly we are self funded. And we are scalable in terms of development. So we do one deployment and it updates our three apps at the same time (browser, iOS and Android). We really make sure there is a consistent UX. DigitalFirst: How many users do you have? Oliver Garside: We have 1,500 active users right now and a few thousand people have downloaded the mobile app and had a look. We have such a diverse range of customers. The thing that connects them all is that they are all sole traders. Musicians, journalists, tradies, small cafes and retail outlets, a variety of professional services such as doctors, dentists, consultants, architects. Intuit is after the exact same market with QuickBooks Self-Employed. It is already selling heavily in multiple countries including Australia. What are your thoughts on that app? We get a lot of customers that come to us from QBSE because their experience isn’t what they want it to be. We think our app is better, of course. But we are at the opposite end of scale to QuickBooks we try not to lose too much sleep. All we can do is stand behind the experience that we provide. We can’t position ourselves as the cheapest app in the market. Every now and then we lose out to $5 a month (QBSE’s discounted price) with new business but a significant number come back. We take so much care over the design of the app and so much effort in the customer support they find that they are more than satisfied with the value the app provides. That’s the only thing that we can control and the one we focus it on. DigitalFirst: What are you using for feeds? Oliver Garside: We are using Proviso, they are used by Illion, previously Dun and Bradstreet Australia. They provide bank feed technology to lenders to make credit decisions based on personal loans, mortgages, and that kind of thing. DigitalFirst: Why go with Illion and not Yodlee? Oliver Garside: The price and the ease of integrating the API. We can offer 140 banks and institutions including credit cards. Feeds are hugely complex but a massive part of everything we offer. It’s pretty much impossible to have any credible accounting software these days without them. DigitalFirst: You mentioned automation earlier. What have you built? Oliver Garside: We will be rolling out some new automation features by the end of the year. We have a bigger development project due 1 January focusing on key areas of automation. One would be auto-categorization of expenses. If you have a regular direct debit that comes to your bank feeds that we can auto-categorise it. DigitalFirst: Do you create the bank rule manually? Oliver Garside: We will be able to use some AI in some instances. We are doing some work in the background doing some big data analysis of users’ records and building a list of the top 100 organisations for expenses. The more common ones we will use auto-created rules. Everyone also has transactions that they categorise in their own way. So we will let people create their own rules as well. DigitalFirst: Are these in-house AI skills? How can you afford that when you’re bootstrapping? Oliver Garside: We are lucky that the people involved in the company from the beginning are some of the best engineers I’ve ever seen. We have a culture in the business that if you don’t know how to do something then learn how to do it. Everyone in our team works very, very hard to make this as good as it can be. We think we can do it. DigitalFirst: What are the automations you have so far? Oliver Garside: Recurring expenses, recurring invoices, a whole suite of smart reminders for when invoices have been paid and when they are overdue, and sending reminders to clients. It’s about making sure that things don’t fall through the gaps, especially when you have multiple invoices out at one time. We have a stack of notifications as well. It helps our users keep on top of what’s happening in their business. When a BAS is overdue, that sort of ting. Our BAS is compiled on the fly. When our users submit a BAS at the end of the quarter it takes 30 seconds to pop into the ATO portal. It’s one of the features our users love the most. Sholto Macpherson has reported on accounting technology as editor and founder of DigitalFirst.com since 2011. He has written about business technology since 2000 and is a frequent commentator and public speaker on cloud accounting in conferences, industry magazines, newspapers, and other online and broadcast media. Why Cin7 Wants To Join The ERP Club. Does It Have A Case? Sholto Macpherson on What is an Office 365 Kiosk licence? juztsteve on What is an Office 365 Kiosk licence? Inbal Rodnay Steinberg on Why Cin7 Wants To Join The ERP Club. Does It Have A Case? Dan Farthing on Why Cin7 Wants To Join The ERP Club. Does It Have A Case? Digital First covers news and opinions on accounting technology and is read by tech-savvy accountants who understand the importance of technology in establishing competitive advantage.